As you read this I will be in the United States and hopefully shopping until I drop somewhere in Las Vegas. 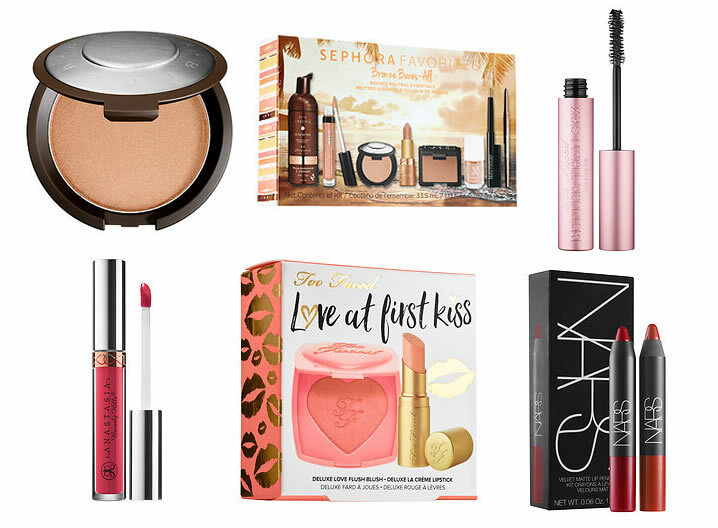 While Australian stores are upping their game and increasing the brands available, especially with the introduction of Sephora, there are still some cult classic products only available in the United States. I have put together a wishlist for the high end makeup that I want to pick up while I'm in the states. I have also put together a comparison between the US price and the Australian price for this makeup to show the differences and savings in cost. I have heard nothing but incredible things about this range of lip products so I am definitely excited to get my hands on some of the colours from the range. I heard that the formulation is absolutely incredible and the pigmentation is seriously impressive. While Sephora Australia stock the brand, they do not have this product listed so I am happy to have the opportunity to pick up some products. This is a product that I tried to get my hands on when I was in the US last time but they were out of stock in both places I went. The stores I visited in Los Angeles and Las Vegas were completely sold out so I have my fingers crossed that I will be able to get my hands on it this time. I need to try it and see what all the hype is about for this raved about highlighter. Sephora Australia sells this product for $60 AUD so I really could have gotten my hands on this sooner but just haven't gotten around to it. I have heard great things about this mascara and figure I should pick it up while in the US where it is a bit cheaper. I absolutely love NARS and think that this lip duo pack is an amazing deal. Mecca sell the full size of these products for $40 each. While these two lip products are travel sized items, being able to try out two shades for half the price is costs to purchase 1 here is a bargain. This is such a cute little pack and we currently don't have anything like this at Mecca. I think there may have been a deal around Christmas time similar to this but for just over $25 this is such an affordable duo pack. Mecca sell the full sized blush for $41 AUD. How amazing is the selection of products here?! I think that it is a fabulous deal to get my hands on such a variety of products for just over $50. I look forward to trying out this amazing series of items, some of which we can't even get here in Australia. These have just been a few products I have thought about and added to my wishlist but there are still other things I am sure I will pick up. This includes; MAC products, the Urban Decay Gwen Stefani palette and YSL lipsticks. I will be sure to film a haul once I am back in Australia of all the products I ended up purchasing so stay tuned for that.